Began with our alpacas and the abundance of their black gold. Researching and finally purchasing a crew of 2000 Red Wigglers. at 2 different work sites here at Sandshaven. Currently we have an alpaca and a guinea fowl site in production. We have a completed batch of castings. And are ready to share the benefits of their nutiritious soil. Interested in trying a bag of our worm's hard work? 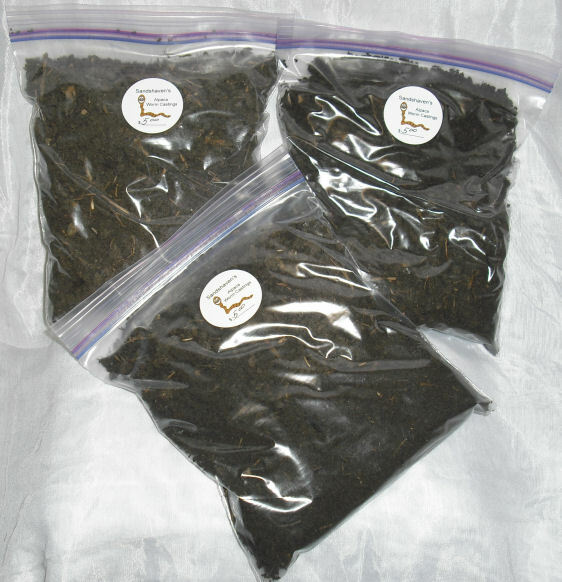 Alpaca Worm Castings enhances beautiful growth of your plants. Castings provide nutrients perfectly balanced which your plant can easily absorb. Improves aeration of soil. Great for veggies, flowers, fruit and houseplants.